At 7:30 we will have the Slap the Nipyata drawing and event. 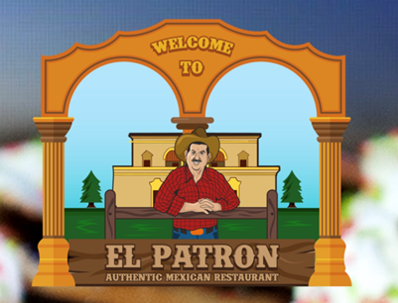 Dining through the day on behalf of DREAMS4U allows El Patron to donate a portion of their proceeds to DREAMS4U. A recommended $20 donation at the door, donations receive a raffle tix for a potential whack at the Nipyata (adult pinata) or restaurant certificates/cards. Thank you to those contributing to the raffle tix prizes: Nipyata!, Asian Cafe LKA, Sweet n Sassy BBQ Fredericksburg, Angela's Italian Restaurant Thornburg, Dairy Queen Thornburg, Chick-Fil-A Southpoint, Subway Kentucky Springs, Outback Fredericksburg.